It seems like everyone I know listens to podcasts these days and some of them are really unique and very good. Today I want to mention 3 that I listen to regularly. Happier in Hollywood. This is a spin-off, if you will, of Gretchen Rubin’s Happier podcast. It’s hosted by Liz Craft (Gretchen’s sister) and Sarah Fain. 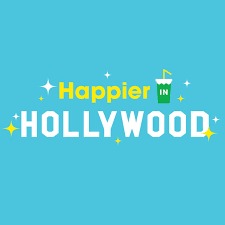 They are a great team of Hollywood writers and this podcast is fresh and fun and I really enjoy it. The features include segments about their professional lives, fun stuff about LA, happiness hacks and celebrity sightings. It comes out every Thursday and each episode is around 30-40 minutes. Up First. A news podcast from NPR, this comes out every weekday morning by 6am. Each episode is about 12 minutes long and covers the news you need to know to start your day. I like it because it’s just the amount of time I spend putting on my make up – which is when I listen to it – and it keeps me informed about stuff happening here in the US as well as around the world. Because it’s NPR it fits in well with my world views and I appreciate that a lot. RadioLab. My nephew Stephen recommended this one to me when we sat together at a wedding this summer. 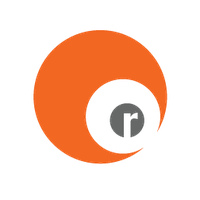 The podcast is actually a rebroadcast of their radio program that airs on public radio stations across the country. The focus is on science and philosphy, history and more. Each episode is unique and interesting and I have learned some really cool things since I started listening. Each episode is about 40-60 minutes long and it comes out sporadically but usually twice per month. Do you listen to podcasts? I’d love to hear about the ones you enjoy! If you wrote a post for this week please include a link below and thanks for joining in this Thursday. David Axelrod’s “The Axe Files.” He interviews (beautifully) very interesting people – usually from the political arena. His interview of Theo Epstein is blocked for some reason, but that of Adam Schiff is a treasure. RadioLab is my absolute favorite! I also like This American Life, The Moth (short stories), Fresh Air (Terry Gross), and Meditation Oasis. I think I’m going to be trying a lot of new podcasts from this post! Oh fun – some new podcasts to check out. I listen mainly to knitting podcasts and This American Life. This American Life and Wait, Wait! Don’t Tell me are my two faves! But, I did not know about Up First! Thank you! I love knitting podcasts and enjoy Fruity Knitting, Knitting Expat, The Gentle Knitter, Victorian Studio and Stitched in Sweden to name a few. I watch them through YouTube and if I like them go back and watch all their episodes while knitting along in the afternoons. I’ve learned so much about different cultures and feel connected to the larger world of knitting and other crafts through them. Once I find one that appeals to me I keep track of the episodes in a little notebook. A timely post as today I’m downloading some new to me ones today. I need to get in a better habit of listening to them. A friend just recommended “Candid Rancor” as a quick hit for the work world – looking forward to adding these to my list, too. 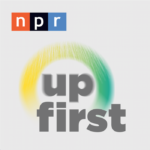 I’ve never listened to podcasts, but maybe something like Up First would be a good place to start! Thanks for the recommendations. I listen to a couple of local podcasts and some of the NPR podcasts but I need new ones. I love listening to them when I knit in the afternoon. ooh thanks, I love listening to podcasts, they are excellent while editing photos. Love having some new recos here. Along with many mentioned above, I listen to Fresh Air (when I like the guests), Marc Marron WTF (if I like the guests), Snap Judgement, Invisibilia, and The Moth. I listen to a variety of podcasts, sporadically—many have been mentioned by you and others. My fave is “Happier with Gretchen Rubin” – tho’ I’m a tad behind since I weren’t on my trip. This was a great topic with lots more podcasts to try. Thanks for opening the door! I second Kym’s recommendation of The Daily. Others I listen to are Marketplace, Snap Judgement, More Perfect and 2 Dope Queens (raunchy!). I’m a podcast junky. Would also add the Story Collider (like the Moth but science stories) and DoubleKnit for a knitting podcast.